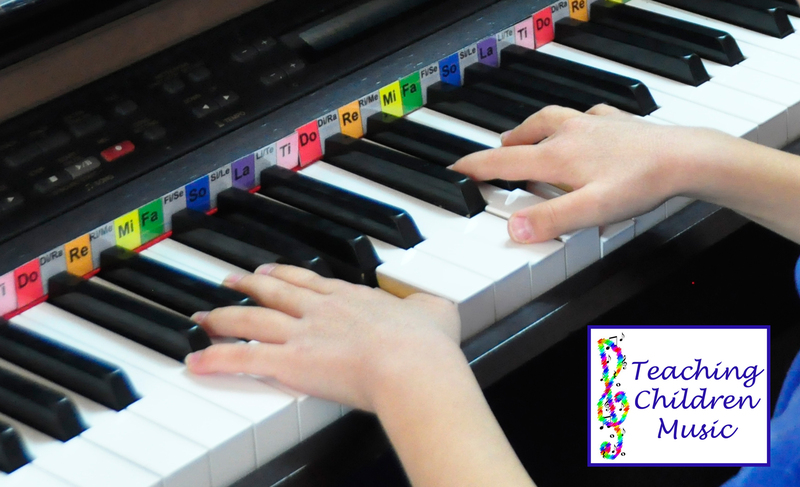 Since 2010, Teaching Children Music has been helping parents and teachers provide an an engaging music environment for children. ​Click on the button that best describes your situation. And by "music teachers", I mean those who teach music in a classroom setting. Obviously anyone using these materials with children is a music teacher to some degree. While we do not have an out-of-the-box complete curriculum aligned with common core, we do have a lot of fun printables and activities, as well as some fun ideas on our blog. Best ages? Preschool and K-4. Here are some fun resources. Oversized flashcards are smart for logistic reasons (such as helping the whole class see), but aside from that, they're just plain good fun. I've played relay races, spelling games, circle games and more with large groups of children, and they really love it. These aren't your run-of-the-mill lesson flashcards. They're 8.5" by 11", so you can print them on any printer and laminate them cheaply with an at-home laminator. (I bought mine for $26 on Amazon, and buy the laminating pouches at Sam's Club, 200 for $20). Note and key signature flashcards are part of our Adventure Pack, "Teacher's Friend." Giant circle and staircase solfege games are part of "The Solfege Train". These rhythm printables are part of "Beginning Rhythm". There are songs arranged for Orff instruments like this glockenspiel. A bordun is a very simple, repeated accompaniment, usually made with the first and fifth scale degrees. They may be played together or alternated, with different rhythms as appropriate for the song. 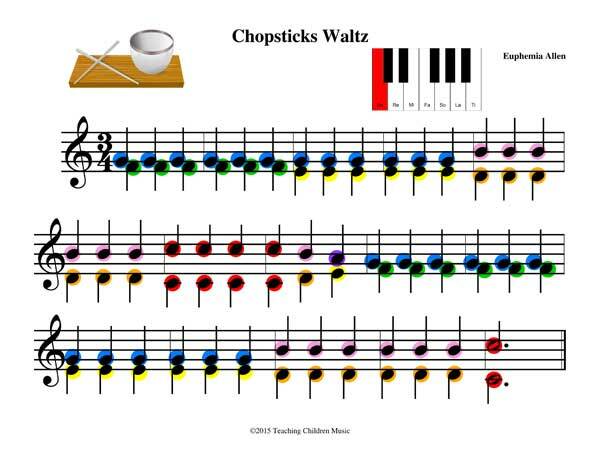 This is great for classroom use because the kids can all be involved by singing the melody, while children take turns being the one to play the instrument accompaniment. Because it is simple, even complete beginners will experience success. 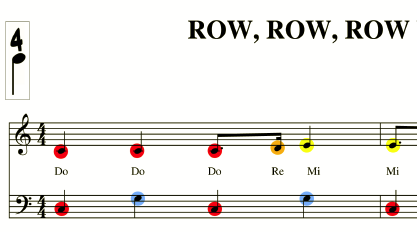 There are a number of nursery rhymes with bordun accompaniments in "The Solfege Train". There are also a few arranged for boomwhackers in our members area. Sometimes you just need a little something to engage kids during the last 5 minutes of class. Or maybe something to warm their brains up and help them get ready to focus on their music. Our "Adventure Packs" are full of games and activities to help you make the most of your music hour. We have a resources for a few instruments that are great for classroom use. Not only do they lend themselves well to the classroom setting, but they are relatively inexpensive as well. While I still plan to create a recorder course some time in the future, our family has been fully enchanted by the ocarina, and we think you will be too! These instruments come in a variety of fun shapes, including specials for Zelda, Mario Bros, Lord of the Rings, Star Wars, and Pokemon fans. Our family's ocarinas all come from STL Ocarina. We have created special flashcards and color-coded tablature for 10 songs and plan to add more to this collection soon. This instrument is so fun! The best classroom ocarinas are made of sturdy plastic, are in C major, and are about $10. The solege circles gave the kids a target to hit their boomwhackers on, which eliminated a lot of sword play. We have a collection of 14 songs arranged for boomwhackers that are especially ideal for classroom settings. The easiest ones are bordun accompaniments, as explained above. Then there are more complex accompaniments, simple melodies, and duets. There are also rhythm exercises that are fun to play on boomwhackers that harmonize well with each other. You can get a set of 8 boomwhackers on Amazon for $20. The ukulele is a popular choice as a first instrument in classroom settings because it is fairly inexpensive and portable. Children learn about chords and harmony, and they can all sing while different children take turns accompanying the class if there isn't enough funds for every child to have their own ukulele. We have partnered with Brooke Palmer, who has created 24 ukulele lessons designed for the complete beginner. She'll spare your ears the pain of out-of-tune ukulele's as well with her special tuning episode. Even if you don't know how to play the ukulele yourself, you can learn with your students. While our best printables and videos are in the member's area, there are a few resources on our blog that I don't want you to miss. First off- one of my favorite activities to do with young children is to help them write and perform their OWN opera! Sound intimidating? It's actually much easier than it sounds. Children are very creative, and with a little guidance from their teacher (they WILL need guidance! ), children can create and perform a masterpiece that is all their own. Learn more about the steps involved in our Children's Opera mini-series. Another resource is our Giveaways section. Here you can see all of the giveaways we have done in the past, as well as a mini-review of what the product is and how I recommend using it. With few exceptions, these are products I shopped for and picked out myself, seeking for items that promote music education. I talk about the melodica, parachutes, story books and instrument sets. I know music teachers share my love for new ideas and ways of teaching, and many have a small budget to enhance their classroom. Check it out and get a few ideas. Maybe you'll even win something! Also, don't miss our Videos page. This page has a nice sample of the kinds of videos you will fin in our members area, and will include our most recent videos as they are rotated through before becoming members-only material. Many of these videos also have accompanying printables that music teachers can print for all of their students. Well, this concludes our tour. I hope this overview was useful. If you have any questions or requests, please don't hesitate to contact me! We are always looking for ways to better meet the needs and wants of our readers.